I really like making masculine cards. I think the fellas in our lives are sometimes forgotten but they really like getting cards too. These particular cards I made for Father's Day but the tags could say happy birthday, congrats, happy retirement, thank you or just about anything. Think about making more masculine cards and give these a try. 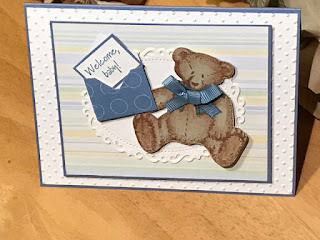 You can find more cards on my Etsy shop at https://www.etsy.com/shop/handmadebykathiek?ref=seller-platform-mcnav.